Other APress' free ebooks are available here. Thanks to TL for the link! 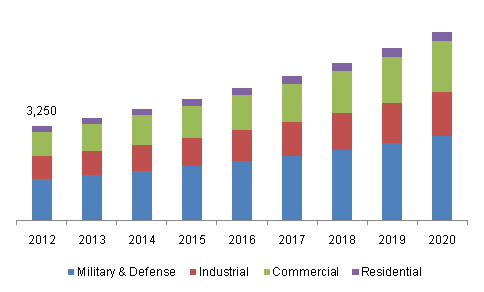 Grand View Research publishes "Thermal Imaging Market Analysis And Segment Forecasts To 2020." "The market has undergone a shift towards commercial applications such as surveillance & security, thermography and transportation systems. High investment, availability of cost effective thermal cameras due to mass production, and a range of diverse applications integrating thermal imaging technology are expected to be the key market drivers. The global thermal imaging market was valued at USD 3,250 million in 2012." With no official announcement, Toshiba publishes a flyer of 1/3-inch 1080p60 TCM3232PB CMOS Sensor with >100dB DR for security/surveillance applications. Toshiba's single-frame, alternate-row, dual-exposure HDR implementation in the TCM3232PB is said to be well suited for capturing fast-moving objects compared to conventional multi-framesystems. 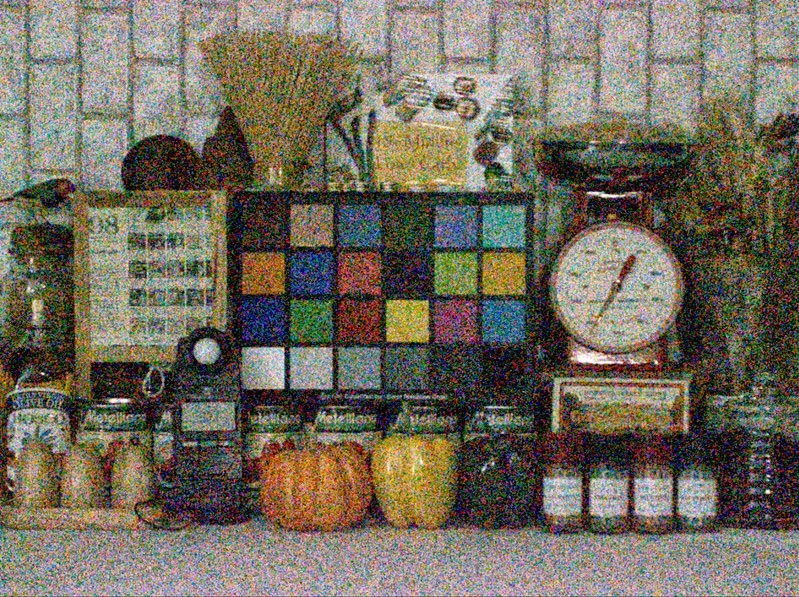 The 2.7μm pixel size coupled with CNR processing improves low light color quality. The sensor is designed for long-term use, operating 24 hours a day. "We are discontinuing our commodity camera module products, while reinforcing our imaging efforts on prioritized customer projects and opportunities." "Effective in the fourth quarter of 2014, the existing Digital Convergence Group (DCG) and Imaging, Bi-CMOS and Silicon Photonics Group (IBP) will be combined under one single organization, called Digital Product Group (DPG). DPG will focus on ASSPs addressing home gateway and set-top box, as well as FD-SOI ASICs for consumer applications; FD-SOI and mixed process ASICs, including silicon photonics, addressing communication infrastructure; and differentiated imaging products. In parallel, ST announced a plan to achieve $100 million in annualized savings, upon completion of the plan during the course of the third quarter of 2015. A portion of the savings coming from the identified initiatives will leverage the synergies from the combination of the DCG and IBP product groups. Other new initiatives include the disengagement from ST’s commodity camera module products as part of the re-positioning of ST’s imaging strategy and a global workforce review within the Embedded Processing Solutions perimeter to affect about 450 employees worldwide." Electronics Weekly talks about the possible layoffs at ST's Edinburgh, Scotland site, although they do not appear to affect the imaging group. CMOSIS: Deloitte Rising Star Event and Technology Fast50 Award Committee recognized CMOSIS for the 2nd place among the fastest growing companies in Belgium. CMOSIS has achieved 2,580% growth in 5 years. BusinessWire: Lattice Semiconductor, Fairchild Imaging and Helion Vision demonstrate a new image sensor solution based on Fairchild Imaging’s HWK1910A image sensor and Helion Vision’s IONOS IP cores at VISION 2014 in Stuttgart, Germany, November 4-6. Lattice HDR-60 Video Camera Development Kit utilizes the Fairchild HWK1910A image sensor, a Lattice ECP3TM FPGA and Helion Vision’s IONOS Imaging pipeline. The solution delivers up to 120dB DR in a single frame at 30fps. Other security camera systems typically stack frames to achieve WDR, causing negative side effects such as image blur, reduced frame rate and decreased integration times. Those issues are solved by the capabilities of this trailblazing solution. “Our HDR-60 based reference design enables OEMs to quickly evaluate the HWK1910A image sensor and develop and roll out high-definition camera systems with excellent low-light and WDR performance ideal for security, surveillance and intelligent transportation applications,” said Kambiz Khalilian, Marketing Director, Industrial and Automotive Solutions, Lattice Semiconductor. Waskul.tv publishes a 18 min-long interview video interview Pelican Imaging’s Founder and CTO Kartik Venkataraman where he discusses strengths and weaknesses of the company's array camera technology. e2v launches the first member of its Onyx family of low-light CMOS sensors for outdoor camera applications where illumination budgets are restricted and industrial machine vision applications where high-speed inspection is required. The new Onyx EV76C771ABT/ACT is a 2/3-inch 1080p 2MP CMOS sensor featuring lower readout noise than e2v’s previous Sapphire and Ruby CMOS sensor families. The Onyx 5.3µm pixels have improved global shutter with Parasitic Light Sensitivity of 4000:1, a higher full well for a wider linear dynamic range, and some non-linear modes to enable image scenes well in excess of 100db to be captured. It also features an on-chip temperature sensor. e2v also offers the ProxOnyx module, which forms a convenient demonstration platform for customers requiring only the sensor. The ProxOnyx board solution offers some unique and exclusive application features to enable active imaging in fog, smoke and other diffusing environments as well as a Digital Double Sampling (DDS) feature for less than 6e- of total readout noise in global shutter mode, and real-time WDR for imaging in the harshest of climatic conditions. The Onyx 2MP full HD image sensor will be sampling from mid-November onwards, and full production is planned before the end of this calendar year, with further market variants planned for the near future. Albert Theuwissen continues his series of tutorials on MTF. The latest part discusses the MTF change dependence on the lens F#. Business Wire: Forza Silicon announces a fully reconfigurable stacked image sensor design with multiple programmable features and functions in a single chip. This flexibility provides a platform, which can be used to connect smart sensors to the Internet and enable a variety of “Internet of Things” (IoT) product applications. The reconfigurable image sensor can be programmed to perform multiple monitoring and decision-making tasks at the sensor “edge.” It can be configured to integrate into different product applications and can be reconfigured to include more features and capabilities in the existing device. The new image sensor enables a range of I/O and processing functions. The programmable logic can be configured to enable camera functionality not supported by existing microprocessor chips. It is configurable for different system interfaces [network connections (Ethernet/Wi-Fi/Bluetooth), memory processors, PC, USB] and image processing [color, HDR, motion detection, object/facial recognition, other biometric applications]. The onboard ADC is adjustable for different frame rates, power conservation and noise limits for improved performance. Additionally, the reconfigurable image sensor architecture allows the manufacturer to provide upgrades to product firmware through its network connection in which product features are added or enhanced. The value of this feature has already been documented in instances where existing IoT devices did not have a reconfigurable capability requiring either the disarming of a product feature or product recall. To demonstrate the sensor’s capabilities, Forza Silicon developed a platform in which a single reconfigurable sensor device was used in tandem with a smoke detector to monitor, detect and stream video confirmation of a fire event within a household to the homeowner’s mobile phone. The device integrated a compact, low-power image sensor with a low-power MachXO2-7000 FPGA from Lattice Semiconductor. The customizable Lattice MachXO2-7000, with its high functional density, was particularly well suited to this application’s high-bandwidth, low-latency requirements, minimizing power and network bandwidth needs. GalaxyCore, the largest CMOS sensor fabless company in China, announces it successfully developed Through-Silicon-Illumination (“TSI”) technology for image sensor manufacturing on 12-inch wafer based on TSMC 90nm process, and will commence volume production shortly. GalaxyCore owns wide scope of of TSI technology IP, including analog design, pixel layout, and pixel-related process technology. The TSI applies to manufacturing of image sensors with pixel size of 1.75um to 1.1um, and will further extend to 0.9um pixel size node. GalaxyCore expects to launch 5MP, 8MP and 13MP TSI products in 2014 and 2015. High performance: TSI significantly improves sensitivity and signal-noise ratio, meanwhile it significantly reduces thermal noise, dark current, and crosstalk. High speed and low power: TSI technology adopts 90nm TSMC technology with fine-tuned process parameters. Combined with the optimal analog and digital design, it is said to achieve high speed and low power consumption at the same time, which leads to high frame rate as well as low thermal noise (probably, due to less heating). Cost efficiency: By utilizing Galaxycore's proprietary pixel process technology, TSI is said to achieve excellent image performance with fewer process steps. PRWeb: MarketsandMarkets' report "Gesture Recognition For Smart TV Market 2013-2018" forecasts "the gesture recognition module in Smart TV is expected to reach $479.88 Million by the end of 2018 at a CAGR of 131.26%. The key players in the gesture recognition module in Smart TV market are Eyesight Tech (Israel), Leap Motion Inc. (U.S.), LG Electronics Inc. (South Korea), PointGrab Ltd. (Israel), Samsung Electronics Co. Ltd. (South Korea), and many more." PR Newswire: OmniVision announces the 1/-3-inch 1.2MP OV9750 for security applications. Using OmniVision's latest 3.75um OmniPixel3-HS FSI technology, the OV9750 captures both visible and NIR video in HD format at 60fps at 10b bit output or 45fps at 12b output. "The OV9750 reflects OmniVision's ongoing commitment to developing innovative, high-performance imaging technologies for the fast-growing surveillance markets," said Paul Gallagher, senior director of marketing and business development. "The OV9750, a dedicated security image sensor, comes to market at a time when traditional analog CCTV cameras are quickly transitioning to 960H resolutions. At the same time, HD analog and IP cameras continue to see strong consumer and commercial demand. Tailored for these market trends, the OV9750's advanced capabilities are calculated to provide a considerable competitive advantage for surveillance solutions as the market continues to develop." The OV9750 fits into a 6.3 x 5.2 mm package. It is currently available for sampling and is expected to enter volume production in the beginning of 2015. Nvidia Research publishes its paper and presentation "FlexISP: A Flexible Camera Image Processing Framework" by Felix Heide (UBC), Markus Steinberger (TU Graz), Yun-Ta Tsai (NVIDIA), Mushfiqur Rouf (UBC), Dawid Pająk (NVIDIA), Dikpal Reddy (NVIDIA), Orazio Gallo (NVIDIA), Jing Liu (UC Santa Cruz), Wolfgang Heidrich (KAUST), Karen Egiazarian (TUT), Jan Kautz (NVIDIA), Kari Pulli (NVIDIA), to be presented at SIGGRAPH Asia in December 2014. CMOSIS receives ‘De Prijs van de Vlaamse Regering voor de Beloftevolle Onderneming’ award. The Flemish government aims with this award to recognise companies with clear growth potential. “First and foremost, CMOSIS stands out due to its technological excellence. The company has a technology that competes at the highest level, evidenced by its prestigious clients which are known worldwide and their loyalty to the company, and this award. In addition, CMOSIS still has significant growth potential that can be realised through new applications of existing technologies and continuous innovation. 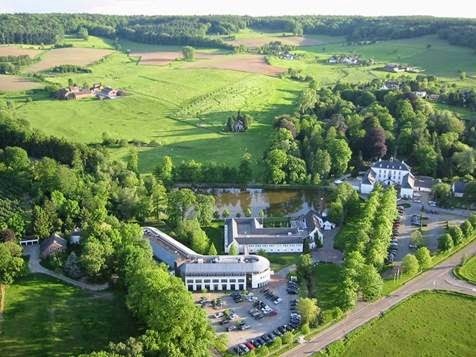 Finally, we opted for CMOSIS because this innovative company plays an exemplary role, and is an excellent ambassador for entrepreneurship in Flanders. Its management never rests on its laurels, and has a drive that can only inspire other companies”, says Geert Noels, memberof the Jury. Resently, CMOSIS also got ISO 9001:2008 certification for the design, development, manufacturing, testing and sales of CMOS image sensors. Point Grey also promises to reveal Sony's new generation global shutter CMOS sensor, the IMX249, in its pre-Vision Show Youtube video. Grenoble, France-based Device-ALab presents an affordable compact thermal imaging camera module for proof of concept makers and medium volumes application makers. SmartIR80 is the perfect learning tool, tanks to the integrated USB 2.0 interface with 14 bit streaming video. Thanks to AC for the link! Business Wire: Ambarella introduces S3, a security IP camera SoC family with support for the new H.265/HEVC video standard. S3’s full implementation of H.265 delivers up to twice the compression efficiency of Ambarella’s current H.264 IP camera SoCs. S3 can encode H.265 video at up to 4Kp30 resolution, or H.264 up to 4Kp60. Its latest generation of ISP provides advanced noise reduction to maximize the benefits of H.265, while HDR processing manages challenging high contrast scenes. S3 also includes flexible de-warping hardware for cameras with 180-degree or 360-degree panoramic viewing with dynamic windows and digital PTZ. “With S3, we establish a new standard of H.265 encoding excellence to enable future generations of the highest quality HD and Ultra HD IP cameras,” said Fermi Wang, President & CEO of Ambarella. The S3 family comprises software-compatible SoCs that range in performance from 1080p60 to 4Kp60 video with support for multiple streams and transcoding between H.264 and H.265 formats. S3 includes a 1.2 GHz dual-core ARM Cortex-A9 CPU with floating point and NEONTM as well as dedicated DSP subsystems for ISP, video compression and analytics. It also supports comprehensive I/O including high-speed SLVS/MIPI/HiSPI sensor interfaces, USB host and client and gigabit Ethernet. The S3 Linux-based SDK allows designers to create IP cameras with differentiated features including wireless connectivity, cloud services, wide-angle panorama viewing, analytics, edge recording and transcoding. H.265 (HEVC) Main Profile encoding up to 4Kp30 video with support for Ambarella SmartHEVC low-bitrate streaming enhancements. H.264 (AVC) Baseline/Main/High Profile Level 5.1 encoding up to 4Kp60 video with support for Ambarella SmartAVC low-bitrate streaming enhancements. Flexible encoder engine supporting multiple streams with independent resolution, frame rate, quality and codec configurations. Support for transcoding between H.265 and H.264, Scalable Video Codec (SVC-T) and sub-frame low-delay encoding. ISP with high-speed SLVDS/MIPI®/HiSPi™ interfaces supporting up to 64MP sensor resolution. Line-interleaved multi-exposure HDR processing up to 4Kp30. Motion-compensated 3D noise reduction with de-ghosting to enhance low-light performance. 1.2 GHz Dual Core ARM Cortex-A9 CPU with floating point, NEON and 1 MByte full speed L2 cache. Intelligent video analytics hardware acceleration. Real-time hardware-accelerated de-warping for 180/360 degree panoramic lenses with up to 4Kp30 performance, multiple window layouts and digital PTZ. Support for DDR4/DDR3/DDR3L, gigabit Ethernet, USB 2.0 host and device, HDMI® 2.0, SDXC SD™ Card, and dual sensor interfaces. PR Newswire: OmniVision announces additions to its portfolio of OmniHDR automotive sensors: the 1.3MP/60fps BSI OV10642 and the WVGA/60fps OV10625. Both the OV10642 and the OV10625 are said to deliver top-level sensitivity and HDR performance in their respective market segments. The sensors also use a special red-clear filter that is required for many forward-looking automotive applications. These benefits ADAS systems, including lane departure warning, blind spot detection and traffic signal detection, among others. "As more automobiles adopt image sensor technology to enhance safety and the driving experience, the importance of high quality imaging and reliable sensing technology cannot be overstated," said Inayat Khajasha, senior product marketing manager for automotive products at OmniVision. "With industry-leading HDR and ultra-low light sensitivity, these sensors are capable of supporting highly advanced vehicle sensing systems deployed in the latest vehicle platforms." The 1/2.6-inch 4.2um pixel-based OV10642 fits into a compact 7.4 x 7.2 mm package and supports 120dB HDR mode. The 1/3.2-inch 6um pixel-based WVGA OV10625 too delivers HDR of up to 120 dB and best-in-class low-light sensitivity of 15 V/Lux-sec and fits into one of the industry's most compact and efficient 7.3 x 7.8 mm package. Both sensors are currently sampling and are expected to enter volume production in Q4 2014. Khronos Group announces the public release of the OpenVX 1.0 specification, an open, royalty-free standard for cross platform acceleration of computer vision applications. OpenVX enables performance and power-optimized computer vision processing for embedded and real-time uses such as face, body and gesture tracking, smart video surveillance, advanced driver assistance systems (ADAS), object and scene reconstruction, augmented reality, visual inspection, robotics and more. The full OpenVX 1.0 specification and details about the OpenVX Adopters Program are available at www.khronos.org/openvx. "The IMX224LQR supports a DOL (digital overlap)-type WDR function. This function uses a method that outputs the data for three frames with different storage times line by line instead of frame by frame, enabling improvement of picture quality especially under low illumination compared to the existing multiple exposure WDR function." The sensors feature a nice set of interfaces: LVDS, 4-lane MIPI CSI-2 with 594 Mbps/lane, and CMOS parallel. PR Web: LensVector and Sunny Opotech announce what they say is the world’s smallest 5MP autofocus camera, P5S10A, aimed to low cost smartphones. The P5S10A combines LensVector’s solid-state LV4519 autofocus with Sunny’s 3531 base lens and a small 5MP sensor in a compact size measuring 6.5 mm x 6.5 mm x 4.6mm. The module can fit both main cameras and high-end front facing cameras. The camera is currently sampling and is expected to enter volume production in early 2015. In another news, LensVector founder, Tigran Galstian, received Canadian Ernest Manning Innovation Award for development liquid crystal technology to replace the mechanical focus in camera phones. Sony announces the IMX224MQV 1/3-inch 1.27MP CMOS sensor for automotive cameras, said to have the world's highest sensitivity levels of any image sensor of its kind (for type 1/3 image sensors with HD or higher resolution, based on Sony research, as of the announcement date, October 16, 2014). The new sensor is capable of capturing high-resolution color images in light conditions as low as 0.005 lux, a level equivalent to that of a moonless night and one that is far below illumination levels under a star-filled night sky. The is set to become Sony's first image sensor for automotive cameras to meet the requirements of the AEC-Q100 reliability tests. The sensor sampling starts on Nov. 2014, mass production is planned for Dec. 2015. The IMX224MQV sensor has 2,350mV (standard F5.6) sensitivity, a level of sensitivity that is around twice that of older Sony IMX238LQJ sensor with 3.75um pixels and the industry's highest. This was achieved through the adoption of photo diodes that improve the conversion efficiency of light into electrons and through the addition of circuits that improve the conversion efficiency of those electrons into voltage. Also, a PGA with a gain up to 72 dB further contributes to the ultimate achievement of a minimum object illuminance of 0.005 lux. With this design, it now becomes possible to capture high-resolution color images even on a dark road at night with no stars to illuminate the surroundings. 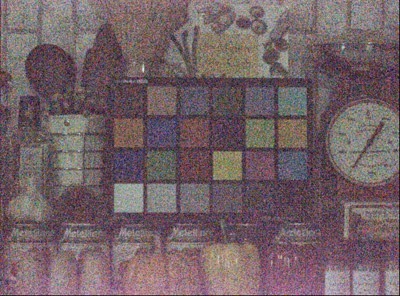 This image sensor also supports a WDR that allows for extended exposure time, which, when compared to conventional multi-exposure WDR systems, makes possible improved image quality in low light conditions when combined with a compatible ISP (Mass production of compatible ISP from Sony is planned on June 2016). Furthermore, the sensor's pixel has an improved NIR sensitivity for better object recognition when used in with NIR LED illumination. Going forward, Sony intends to expand its image sensor reach beyond the realm of digital imaging devices and into the arena of "sensing" as well. Building off products such as the "IMX224MQV," Sony will pioneer and tap into a new market for image sensors that are capable of acquiring and discerning information from captured images such as objects' distance, movement, shape, and color, for use in vehicles and elsewhere. IRLYNX and CEA-Leti announce a technology-development partnership for a new CMOS-based infrared technology that will allow a new type of smart and connected detectors in buildings and cities. Leti’s Silicon Development Division and the Optics and Photonics Division will develop a technology platform for IRLYNX in the field of human-activity detection and characterization. IRLYNX is focusing for its part on a specific IC design, a customized optic integration and the “on-die” data processing of such human-sensing-activity module. These products will be able to count people, distinguish humans, get positions and determine posture for applications in energy saving, safety and security and human/object interactions. The collaboration is based on the development of specific microelectronic steps above CMOS IC and on the hosting of IRLYNX R&D’s activities inside Leti’s clean-room facilities. “Through this strong partnership with CEA-Leti, we continue to deploy our strategic plan as expected. The capacities and how-know of Leti in advanced-technologies development are really an advantage for IRLYNX. With this agreement and Leti’s support, we are shortening our time to market,” said Sébastien Fabre, IRLYNX CEO. With its recent first round of funding, which raised 1M€, IRLYNX will be able to deliver first products in Q3 2015. Papers must be submitted by February 2, 2015. According to unconfirmed rumors, Apple has approached an individual who used to work for ST with a view to set up an Apple imaging center in the Grenoble area. Apparently, Apple is getting interested in ST's SPAD technology used in LG G3 for AF. The ex-ST individual is working to broker Apple access to this technology, based in Grenoble. Seeing the recent stream of ToF patents from Primesense-Apple, one can speculate that Apple is contemplating the use of ST SPADs in its oncoming 3D camera. Meanwhile, ST is reducing its image sensor footprint on the Edinburgh, Scotland site, pulling out of doing optical modules in the wake of continued reduced market share. Reportedly, Apple has had a recruitment day for image sensor designers in Edinburgh, with very select invites. Update: The post has been updated according to a request I've received. Tomasz Hemeprek from Physics Institute of the University of Bonn, Germany posted a long and interesting interview with Bart Dierickx taken at Workshop on CMOS Active Pixel Sensors for Particle Tracking held in Sept. 2014 in Bonn. Bart tells about how he founded Fillfactory and then Caeleste, different projects, few bits of image sensor history and also his views on image sensor future, and more. Q: How many different pixel design have you done in life? A: I have designed myself at least 100 different imagers and as a team leader or CTO certainly more than 100. Many of those chips contained multiple variants of a baseline pixel. A large part must have been classic 3T and 4T pixel and an even larger amount of pixels which are “special”, with logic inside, or analog processing, or hybrid, or having some special feature like time gating or having certain functionality or redundancy. Every project is different. So if you ask, it will be around 1000. Q: How the image sensors will look like in 10 years. Do you look at the mobile market what they are doing? A: The pixel size race will stop, but what is not yet really there is a global shutter in a small pixel. That race is now going on. Today a 1µm pixel is a rolling shutter pixel: if you move your camera you get the jello effect. Global shutter pixels are the next big thing. They are racing again, maybe down to 1.5 µm? But also that race might stop or reverse, as happened with telephones: about 5 years ago mobile phones became smaller and smaller and everybody said that they would become so small that you would lose them. Suddenly they became bigger again due to the smartphones. All those smartphones have the size to fit in your hand and the hand does not scale. The 2015 International Image Sensor Workshop will provide an opportunity to present innovative work in the area of Solid-State Image Sensors and share new results with the Imaging community. The workshop is intended for image sensor technologists and has limited attendance. As in the previous years, the workshop will emphasize active interaction and encourage exchange of information among the workshop participants in an informal and open atmosphere at a great venue. The scope of the workshop includes all aspects of electronic image sensor design and development. In addition to regular papers, the workshop will include invited talks, poster presentations and the announcement of the Walter Kosonocky Award winner. High image quality. Low noise. High sensitivity. Improved color reproduction. New devices and pixel structures. 2D and 3D, CAD for design and simulation. Image sensors and pixels for range sensing: TOF, RGBZ, Structured light, stereo Imaging, etc. High energy photon and particle sensors (X-ray, Radiation). Abstracts should be submitted electronically to the Technical Program Chair, Pierre Magnan ( IISW2015papers@isae.fr ) by January 23, 2015. An abstract should consist of a single page of text with up to two pages of illustration, and includeauthors’ name(s) and affiliation, mailing address, telephone and e-mail address. The electronic file with abstract should be prepared in .pdf format. The name of the file should be the last name of presenter. Abstracts will be considered on the basis of originality and quality. High quality papers on work in progress are also welcome. Final-form paper submission date is April 17, 2015. Pelican also publishes two depth map videos that Dan Lelescu showed at the meeting: Pelican lobby, and trees outside.